Early this morning, I made a walk to Jelutong Tower to meet up with a friend who came back for a short visit. On the way to the tower, there were calls of the Brown Hawk-Owl, Short-tailed Babblers, Asian Fairy-bluebird and the Chestnut-winged Babbler. At the tower itself, there were the usual Orange-bellied Flowerpeckers, Van Hasselt’s Sunbird and the Crimson Sunbird. But the first bird that caught my photographic interest was the Banded Woodpecker (Picus miniaceus) that was calling away loudly. Just after it flew off, a Chestnut-bellied Malkoha (Phaenicophaeus sumatranus) flew past the tower landing nearby. My last bird at the tower was the Square-tailed Drongo-Cuckoo (Surniculus lugubris). It was perched momentarily at an interesting branch and was calling loudly. Soon it flew off, but in the process it was mobbed by bulbuls. The pattern was repeated at the next perch and the following one after that. The bulbuls really did not like the presence of the cuckoo. For good reason too. 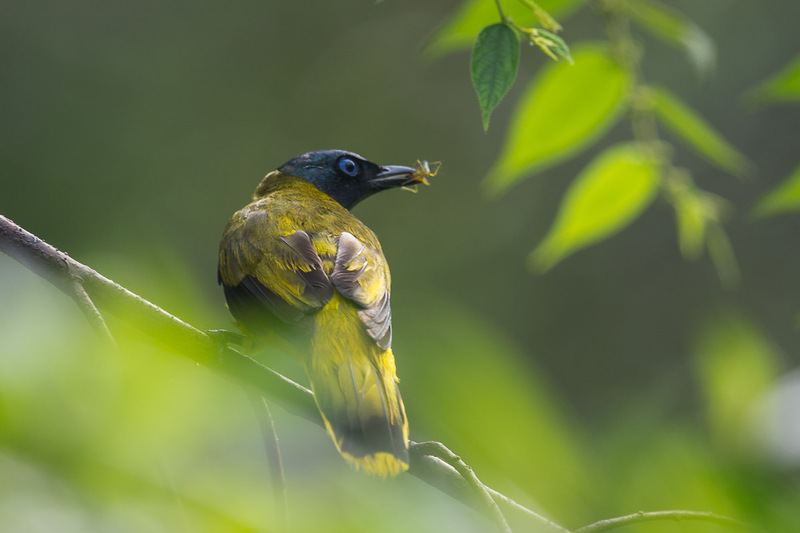 The Yellow-vented Bulbuls1 and the Olive-winged Bulbuls2 are known brood host of the Drongo-Cuckoo. To protect their own nesting, they mob the cuckoo whenever they are seen. After the excitement of the tower, I had a brief walk at the boardwalk. No interesting birds to report, so instead I photographed another Banded species. 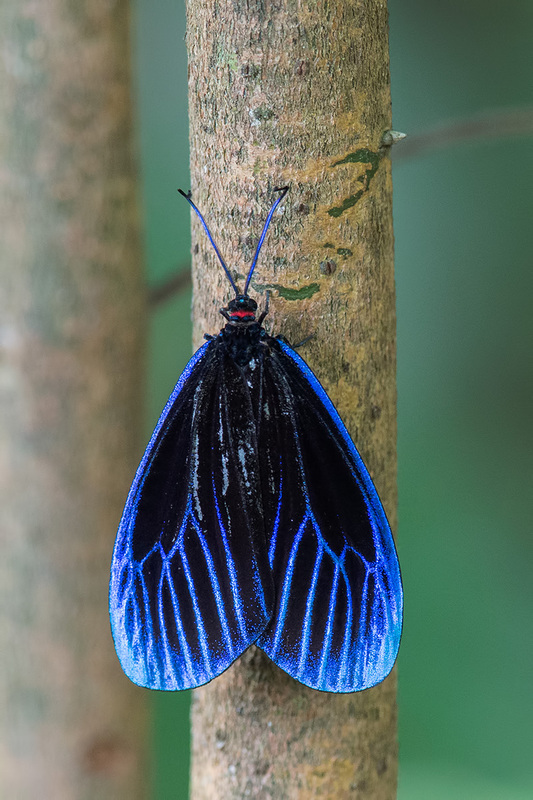 This time, a Banded Imperial (Eooxylides tharis distanti) butterfly. This entry was posted in Birds, Butterflies, Wildlife and tagged Banded Imperial, Banded Woodpecker, Chestnut-bellied Malkoha, jelutong tower, Macritchie Reservoir, Square-tailed Drongo-Cuckoo on June 11, 2014 by Francis Yap. A day-flying moth. Taken at Macritchie Reservoir, August 2012. 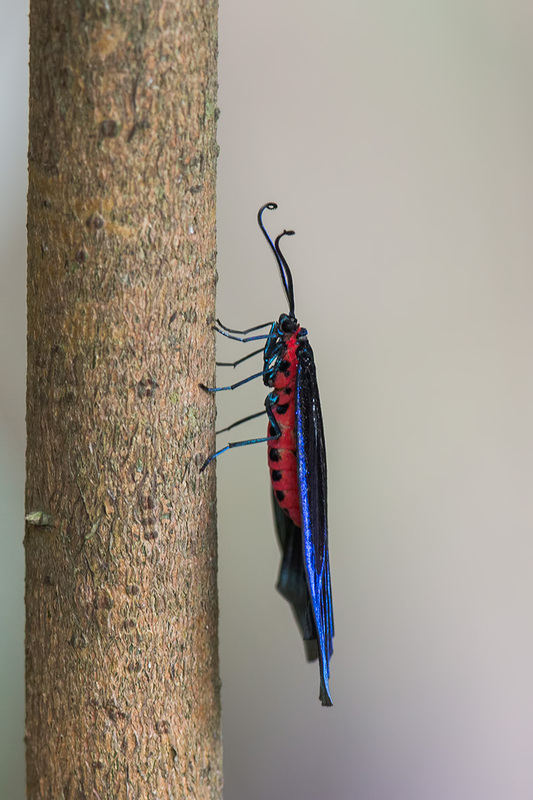 This entry was posted in Butterflies, Wildlife and tagged Macritchie Reservoir on May 28, 2014 by Francis Yap.